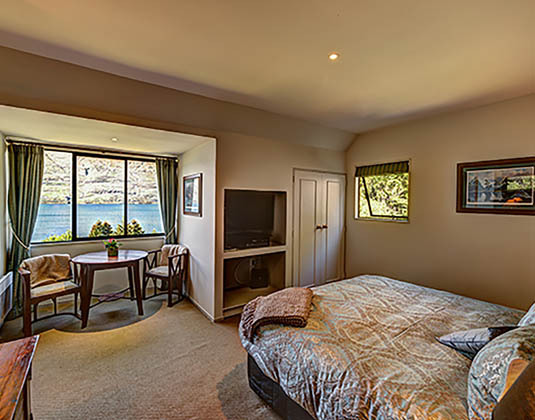 Situated on the edge of Lake Wakatipu, just minutes away from the heart of Queenstown, Hidden Lodge is a luxury private retreat where you can experience total relaxation and enjoy complete serenity. 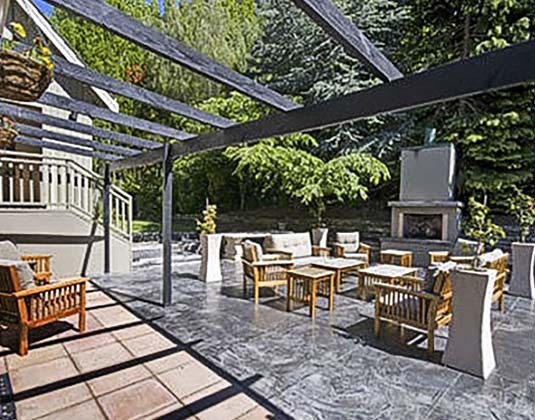 The beautiful courtyard with outdoor fireplace is a wonderful place to reflect after a day exploring Queenstown, or retire to your elegantly appointed suite, all of which command magnificent lake and mountain views. In a Rua suite with bath and separate shower, complimentary mini bar and seating area. Tahi suite * Toru suite * Premier Wha suite. The lodge does not cater for children under 14 years, unless the whole lodge is rented for exclusive use.